Initial Meeting. The client has requested assistance either for himself/herself or for someone in the organization for whom help is desired. We discuss the outcomes desired and clarify various aspects of the project such as communications, expectations, and roles. We then meet to develop an understanding of the client and situation. Background data such as history, recent changes, role, skills, aptitudes, style, etc. is collected. We discuss the nature of the concerns or opportunities, with emphasis on recent trends, and move towards the establishment of collaborative goals. The next phase involves developing and implementing a plan to address these goals. Typically a coaching process may last nine to eighteen months, with periodic meetings every two to six weeks. During this time we emphasize connecting experience, understanding different points of view, and examining data to determine what is true. We use the past to inform the present and prepare the future, identify the client’s patterns that contribute to success and failure, boost the success patterns with new skills and abilities and reduce or eliminate the patterns that contribute to failure. Leaders at all levels impact their organizations by making things happen that wouldn’t happen without them. Yet, due to the increasing complexity, change and diversity in today’s world, leading is more difficult than ever. How do leaders learn to maximize their strengths and overcome their blind spots? Most of the time, it is the hard way, by trial and error if at all. Or commonly, leaders have such demands and are moving so quickly they don’t have time to reflect and learn from those mistakes. The process of leader development utilizes a similar format to executive coaching. We help leaders identify their natural strengths and areas to watch out for, using tested models of successful leadership. Then, we help them develop and implement a plan to utilize their strengths and attenuate their development needs. We also provide Leader development through group sessions tailored to your organization’s particular culture and strategic direction. Teams can muddle along due to poor communication, disagreement about goals and roles, and disrespect among members. Or, they can reach high levels of performance by addressing these factors and making the most of the inherent strengths of their members. Our process involves initially consulting with the client to agree upon a game plan. Frequently we recommend forming a steering team to guide the process. Typically the steps include: contracting, assessment, design, intervention, closure and review. 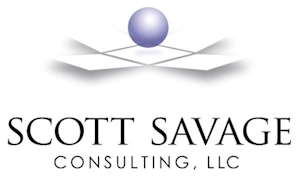 Savage Consulting is especially effective at identifying issues within a team such as misunderstandings, blame, c-y-a behavior, historical baggage, low trust and ineffective leadership. These conditions are divisive and erode energy from the team. We generate information that helps the team safely name the issues. Then we support the team in discussing the situation and devising strategies to address those issues. This happens in real time, with follow-up and accountability to maintain and continue improvement. We may utilize action learning simulations, individual, team or culture assessments and feedback, 1-1 conversations, team surveys, or massed and/or distributed meetings. Our team building processes may include any or all of the above elements, depending on the goals, resources, climate and situation in which the client is living.